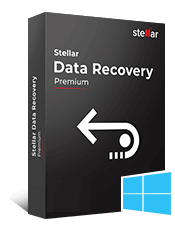 Stellar Data Recovery Professional, An NTFS Data Recovery Software that promises seamless recovery of lost, deleted, or inaccessible files, folders, documents, photos, and videos from NTFS partitions. It ensures smooth recovery of data that has been lost due to sabotage, virus attack, system malfunction, or disk failure. *Free download to scan and recover your lost or deleted data. Whether you have intentionally or inadvertently deleted your precious photos, treasured videos, complex documents, sensitive files, and important folders from your NTFS based volumes and drives, the NTFS file recovery utility is your true companion. It employs two powerful recovery options—‘Quick Scan’ and ‘Deep Scan,’ to efficiently recover the deleted files. Using this software, you can ensure quality recovery of data that has been lost due to software or hardware crash, media formatting, etc. The powerful scan is one of the key distinguishing traits of this ultimate Data Recovery software. It has two options—‘Quick Scan’ and ‘Deep Scan.’ This quick scan allows you to scan fast all the recoverable files;and, the Deep Scan option carries out a more comprehensive scan, therefore, providing better results for recovery. Recovering data that has been lost due to the formatting of NTFS drives is no more a tedious task. It is because of the ‘Deep Scan’ option that ensures efficient recovery even in the circumstances where the drive becomes inaccessible. Therefore, owing to this, you can easily salvage your complex data with ease. Irrespective of the fact whether you are performing Quick Scan or Deep Scan, this efficient data recovery tool systematically scans your hard disk and lists out all the recovered volume data in defined hierarchy as well as folder structure. It implies no change with the integrity of the volume data. In case you want to configure the advanced option, you can also do this efficiently using high-end “Advanced Settings” option. It allows you to state the files details at the beginning of the scanning operation. With the help of this innovative feature, you can edit the existing header of a predefined file, or can add both new and unknown file headers. Undoubtedly, a smart feature that offers you the flexibility to recover your lost data as per your convenience. Owing to this smart feature, you can easily resume recovery later anytime. It ensures easy recovery from saved scan information as well as the image file. Apart from convenience, it also saves your time, as you can resume the recovery process instead of starting from a scratch. An impressive feature for those users whose hard attempts to recover lost, inaccessible, or accidentally deleted files fails. This cutting-edge Raw Recovery feature searches for every hidden file based on file signature and recover them. Another excellent option to recover your lost or deleted data without compromising on data integrity. It effectively creates an image of the hard drive by replicating. Further, you can also create an image of selected region by specifying the defined disk area. You can also create removable media images using this software. Though it may seem like a minor feature yet it is considerably critical. This on/off feature helps boost the scan speed of the process as you simply have to turn off the file preview. This enables to speed up the NTFS data recovery process. Stellar NTFS Data Recovery software is a professional recovery software that not only aims to recover lost files but also meets user’s requirements. Thus, with its innovative file preview option, it allows you to have a look at all the recoverable lost or deleted files and folders, prior to its recovery. The preview is available in tabbed view of three different viewing perspective — ‘File Type,’ ‘Tree View,’ and ‘Deleted List,’ for more clarity. The Scan Status feature of this professional NTFS Data Recovery software is a perfect monitoring tool. It helps you keep track of the scanning program by providing you details such as required time, the elapsed time, and the time left to complete the scanning. In addition to these, it also defines a number of recovered files until that particular instant. In case where you wish to find the specific folder for lost & deleted files and defined types of files in a logical drive or specific folder, this feature of NTFS Data Recovery is a suitable pick. It enables you to efficiently search the required file type or file with ease. The NTFS Data Recovery software has an option to compress recovered files. The main intent of this is to save your disk space substantially. Using this option, you can easily compress your entire data as well as a single file. This compressed data will save in a single ‘zip’ folder at a defined location. 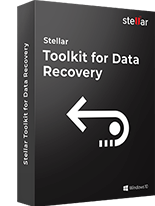 Try Stellar Data Recovery Professional to recover lost files. What is the difference between 'Quick Scan' and 'Deep Scan'? 'Quick Scan' feature carries out a fast scan on your selected volume or removable media to recover all lost, deleted, or formatted data. This mode of scan is generally useful in all instances of data loss in Windows. Alternatively, 'Deep Scan' method is a more rigorous way of searching data on a Windows-based drive or volume. It usually takes more time than 'Quick Scan', but facilitates a reliable and complete Windows data recovery. 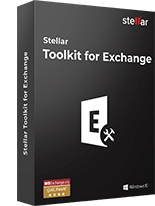 What are the different file saving options provided in Stellar Data Recovery Professional? The software provides a number of options for saving your recovered files. You can either save files on your local hard disk or restore them to an FTP server. To recover files to FTP server, you need to specify the 'Server Name/ IP Address', 'Port No. ', 'Username', and 'Password'. You can also apply compression to save all your recovered files as single '.zip' file or choose to compress each file individually. I had an NTFS based volume on my hard disk. I recently formatted this volume with FAT. Can the software help to recover data that was stored on the original NTFS partition? You can use the 'Formatted/Lost File & Folder Recovery' feature of the software to recover data from formatted volumes. In case you have converted your NTFS based volume to a FAT partition, you can still recover data by scanning this volume as NTFS. The software will list all data stored on your previous NTFS volume. You can choose the desired files and folders that you need to recover. What do you mean by 'Raw Recovery' and what are the advantages of using this feature? 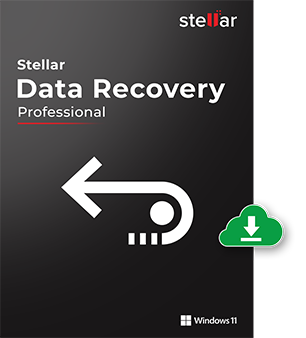 'Raw Recovery' is an advanced feature of Stellar Data Recovery Professional. Using this feature, you can perform a signature-based search for your lost or deleted files. You can specify the desired file types that you need to recover by applying various filters. The software extensively searches your drive or volume for all the selected file types and gives you optimum recovery results. This feature is advantageous in all cases where recovery is not possible using the conventional method. 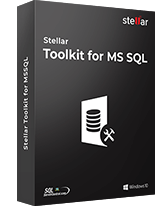 What are the various benefits of using 'Mask' in Stellar Data Recovery Professional? The software enables you to apply 'Mask' after the completion of scan process. Masking helps you to narrow down the scan results and create a new tree structure containing only the desired file types. You can set file mask based on several parameters, such as file type, match case, size, data, etc. You should use this feature to perform selective recovery of files. 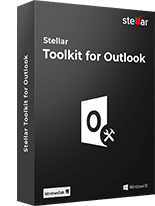 Stellar Toolkit for Data Recovery is a set of comprehensive software tools to recover lost or inacce..